One of my favorite PBS programs was inspired by Beverly Cleary’s Ramona books. This series lasted 10 episodes. 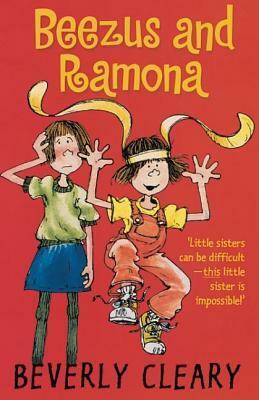 I’d not thought about Ramona and Beezus until one of my Facebook friends posted this article – 10 Facts About Beverly Cleary’s ‘Ramona’ Books – a few hours ago. Thus, I set aside another TbTB post (oooh – a pre-scheduled post that’s TBP (to be posted)) and shared Ramona instead. Posted on November 13, 2014 by Starry Night Elf	• This entry was posted in Award, Books, Fiction, Genre, Juvenile, Movie/Television, Series/Trilogy/Quartet, Throwback Thursday Books and tagged 11.13.2014, Beezus, Beverly Cleary, Ramona. Bookmark the permalink.